It is mainly used in hospitals, laboratories, universities and other institutes where users need to sterilize temperature-resistance solid and liquid. 1.Complete process of filling water, dynamic pulse exhaust, heating, sterilizing, draining and drying runs automatically. 2. LED screen displays all steps of full process as well as error codes. 3. Sterilization programs for dressings, equipment, rubber, culture medium, waste, etc. 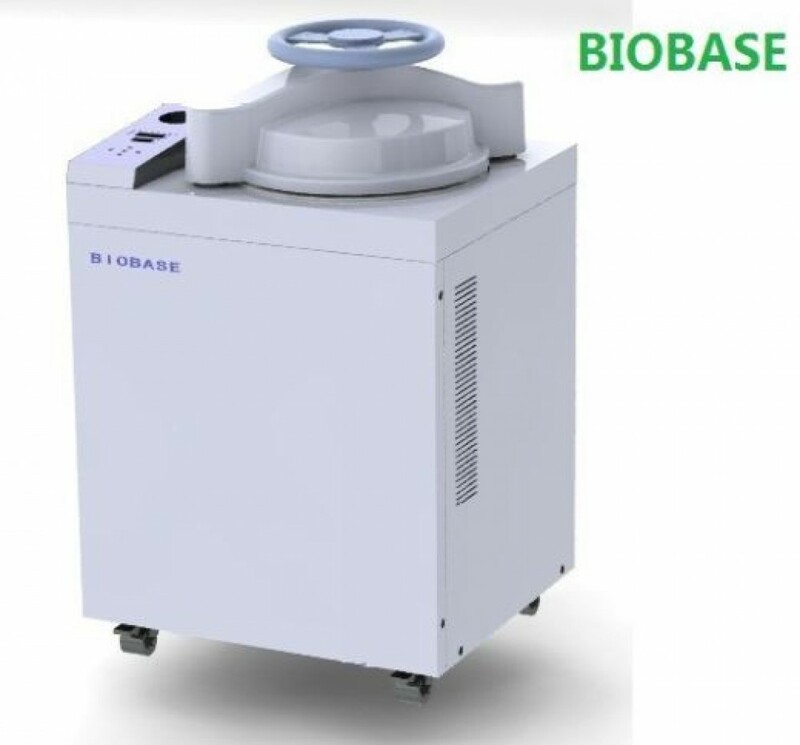 4.Adopting certain temperature (98~102℃) exhaust method and dynamic pulse exhaust method to completely empty the cold air inside chamber for ensuring steam saturability. 5.Automatic selecting quick or low exhaust to avoid sterilization liquid overflowing. 6.Inner stainless steel water tank for water and steam to circulate inside. Steam does not exhaust during sterilization, so as to keep the outside clean and dry. 7.Independent quick service window, easy for repairing and maintenance. 8.Water inlet filter to keep high water quality. 9.Hand wheel type of quick-open door structure, self-expandable sealing ring, easy operating and safe. 10.Optional printer for recording sterilization data.